Growing up in the tropical sunshine of Jamaica’s Montego Bay, from the start J-Status had big dreams. Influenced by the Bay’s summer breezes, carrying sun drenched melodies, and lyrics that captured their imaginations and ignited a common passion. Their love of music was fostered at an early age. These four young men soon began an incredible journey that took them from an island in the Caribbean to America. At school in Montego Bay, Orain ‘Shabbz’ Stewart, brothers Byron and Dru Barwise and Andrew ‘A.T.’ Thompson first met. They spent hours honing their singing skills and harmonising while at church and discovered that the sum of their four voices was greater than the individual parts. The boys grew up in musical families, spending time at church singing the gospel music that influenced their lives. However, on the flipside, the boys’ spent equally as much time listening to the dancehall “riddims” of artists like Elephant Man, Bounty Killer and Beenie Man, as well as the soulful honey coated ballads of Brian McKnight, Luther Vandross and, most of all, Boyz II Men. However, it wasn’t until 2002 that the boys left the parish of St. James and headed for the promise of fame and fortune in the USA. They began their journey in Philadelphia, working with different producers and relentlessly gigging. Dismayed with the lack of promised recording deals, the band moved on and ended up in Port Chester, NY. A chance meeting soon proved to be their saving grace, when they were introduced to the pastor at the Parkside Assembly of God Church. The church needed a band and J-Status needed jobs – this was kismet, their destiny. They received shelter in return for work around the church, all while honing their musical craft. 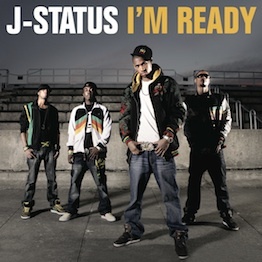 Soon, things were on the up when J-Status were introduced to Evan Rogers and Carl Sturken at SRP Records who are best known for discovering and signing the R&B sensation Rihanna. 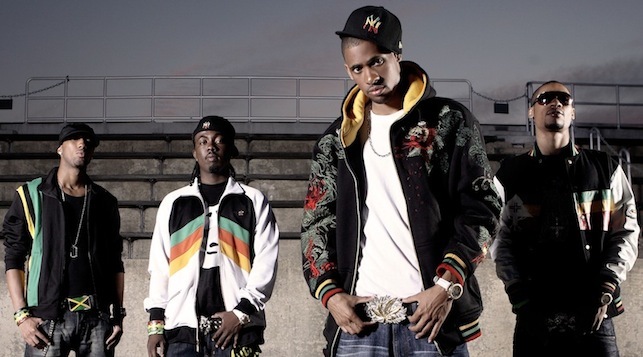 “We needed a male verse on a Rihanna track called ‘Here I Go Again’, and the guys killed it!” recalls Rogers. The track became a firm favourite with fans across the world and featured on Rihanna’s multi-million selling album “Music of the Sun”. 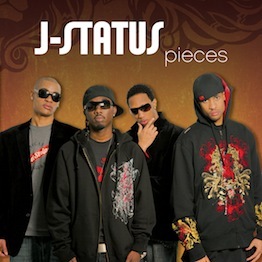 J-Status have created an inimitable sound blending reggae, R’n’B and pop. It’s unmistakably addictive music, which immediately caught the attention of Rogers and Sturken. “There’s really no group in the market place like this” states Sturken. “We loved the idea of them having their own lane”. Rogers and Sturken were blown away with the boys and didn’t hesitate in signing them. Their captivating debut single “All Rise” and club banging follow up “I’m Ready” featured on their album on SRP / Next Plateau Records. 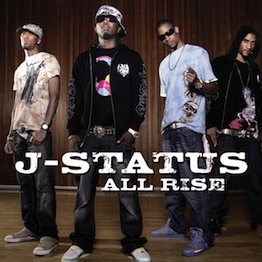 The band is also featured on Rihanna’s album “A Girl Like Me.” J Status’ music is a rollercoaster ride of positive vibes and high energy marking a new era in R&B reggae.